“A new coffee brand for fans of the legendary FC Barcelona – FC Barcelona Coffee House. As street culture is familiar to soccer fans and soccer stars often start off in the street, we chose graffiti as our main inspiration. 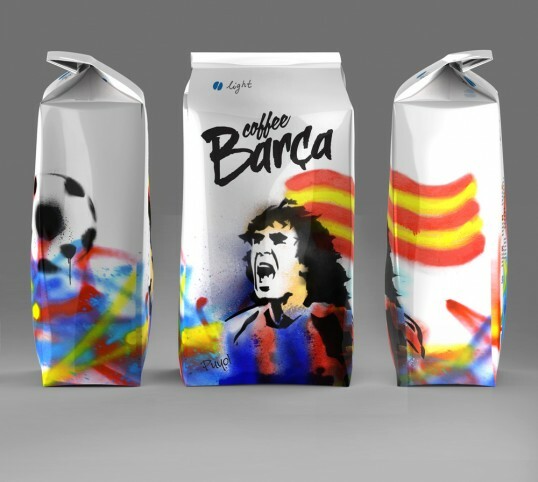 The coffee packaging design reflects Barcelona’s spirit of freedom and the will to win in bright BARCA colours.